The maiden flight of the Ariane 6 will deploy satellites for the OneWeb constellation — plus, the company has also booked options with Arianespace for two additional Ariane 6 launches. The Ariane 6 will be available to OneWeb from the second half of 2020 to provide launch capacity that supports the full deployment and replenishment of the OneWeb constellation. The launch service agreement specifies the use of the qualification launch of the Ariane 62 version, scheduled for the second half of 2020; the two Ariane 6 options (either in its 62 version, accommodating up to 36 OneWeb satellites, or in the 64 version, up to 78 OneWeb satellites) will be used starting in 2023. The OneWeb satellites will be launched by the first Ariane 62 into a near-polar orbit at an altitude of 500 kilometers before raising themselves to their operational orbit. 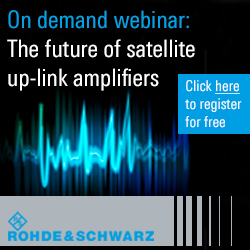 The company is building a network of LEO satellites that will provide high-speed, low latency services to a range of markets, including aeronautics, maritime, backhaul services, community WiFi, emergency response services and more. 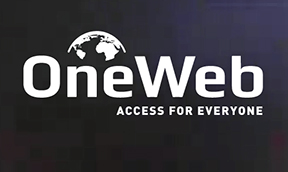 Central to its mission, OneWeb will also be focused on connecting schools and working to bridge the digital divide for people across the globe. With its system deployed, the OneWeb constellation will enable user terminals capable of offering 3G, LTE, 5G and WiFi coverage, giving high-speed access around the world. Artistic rendition of the Ariane 6 launch vehicle. Image is courtesy of Arianespace. The Ariane 6 launch vehicle has two variants — Ariane 62 and Ariane 64 — which allows Arianespace to offer a wide new range of launch services and solutions to customers. OneWeb has already entrusted Arianespace with 21 Soyuz launches to ensure the timely deployment of its constellation, whose first successful launch occurred on February 27, 2019, from the Guiana Space Center (CSG), French Guiana, South America. Adrian Steckel, OneWeb CEO, said, the company is delighted to announce this partnership with Arianespace to launch additional satellites for the constellation on Ariane 6. OneWeb's first launch represented the start of the firm's mission to provide connectivity for everyone, everywhere, and the company thanks Arianespace for their professionalism and fundamental role in making this launch a success. 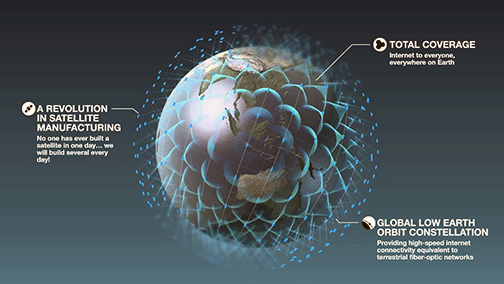 With OneWeb's first six satellites in orbit, first customer contracts signed, the company has entered its commercialization phase and is one step closer to the provisioning of global connectivity. Stéphane Israël, Arianespace CEO, added, that the company is proud to be a part of the effort to deploy OneWeb’s constellation. OneWeb’s choice to fly aboard the first Ariane 6 says a great deal about Arianespace’s DNA: the company has always been at the forefront in bringing together innovation and reliability. This contract illustrates the outstanding versatility of the firm's future launcher, which will be a champion during the next decade, embracing all market needs. The European Space Agency is also thanked for their allocation to the market this first flight of Ariane 6, which is part of its development contract with the prime contractor and parent company, ArianeGroup.